People first. We believe in this statement because that is what we care about most. Our clients customer service, premium pricing, quality insurance protection, and top rated financial products are always the number one goal. Who are we and what do we have to offer you? The answer is simple. 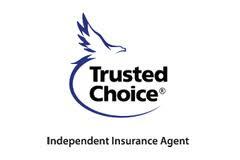 We are an independent insurance and financial services broker who represents our clients best interest. McBride Group represents several top rated insurance carriers in which we have formed relationships to offer our clients the best products and services in the industry. We have the capability to conduct an analysis of our clients current situation and provide a customized program to meet their needs. Contact us and let our company do the work for you. Let us provide your organization with multiple proposals and explain the benefits. You will have the ability to select which is best based on your circumstance. McBride Group will be there along the way to review every renewal to ensure that your expectations and best interest are being met. Situations change and so should the insurance and financial programs. We are here for the long term and want to make you a client for life!